The biggest star of tonight’s episode of Outlander didn’t have a single line of dialogue, but nevertheless spoke volumes. 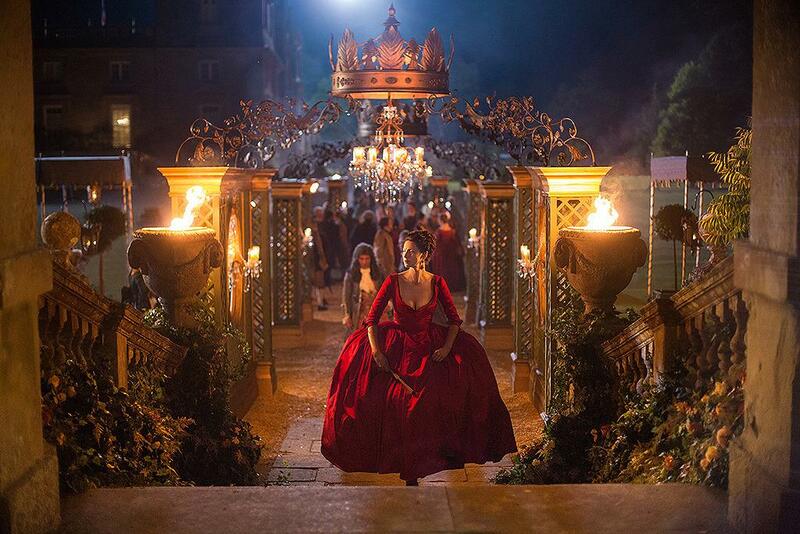 We’re talking, of course, about the red dress that Claire (Caitriona Balfe) wears to King Louis XV’s royal ball at Versailles, a stunning gown with a plunging neckline that also causes Jamie Fraser’s (Sam Heughan) jaw to plunge. Fans have been longing to see this particular dress modeled in three dimensions since author Diana Gabaldon first described it in detail in the secondOutlander novel, 1992’s Dragonfly in Amber. And the show’s costume designer, Terry Dresbach, went into Season 2 knowing she had to make their two-decade wait worth it.